Composite decking can create a very elegant residential deck. Once dominated by woods such as cedar, residential decks are increasingly making use of non-wood surface decking materials. These products are often lumped together under the label "composites," and are now popular enough that nearly all home improvement centers stock ample supplies alongside tradition cedar for outdoor construction. Matching railing posts, balusters, and rails may also be available. Here are 10 facts to be aware of when shopping for composite lumber for your deck. 1. Not All Synthetic Decking Is "Composite"
Composite decking is made from wood byproducts (or in this case recycled bamboo) and recycled plastics. Older forms of synthetic decking material include PVS and plastic (HDPE—high density polyethylene), but this these are now regarded as rather old-fashioned and are not used very often. 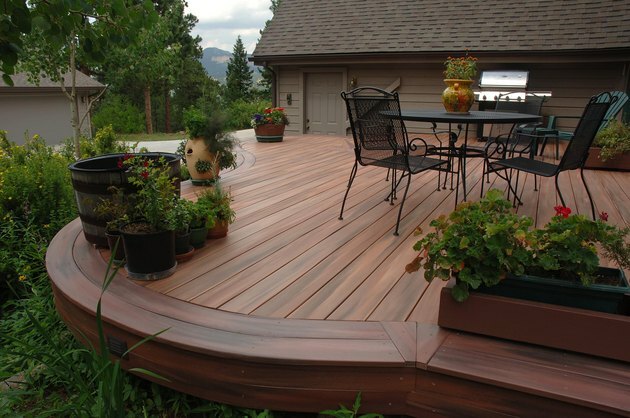 True composite decking is a combination of natural wood byproducts, such as sawdust, and plastic or vinyl resins. A new variation features recycled bamboo bonded together with resins. 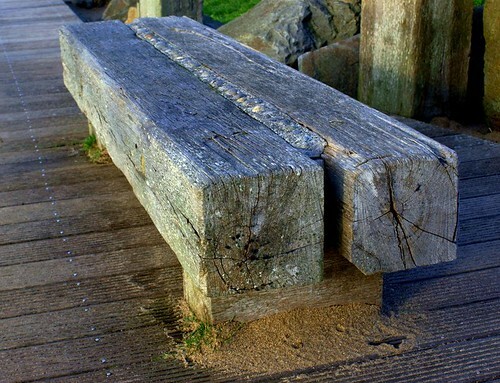 Your local building code may not allow for non-wood "lumber" in deck construction, or it may restrict its use. It may allow composites for the surface decking, for example, but may forbid it on stairway treads or for railing parts. Always check with your local building inspections office to learn what building materials are allowed for decks. Composites are gradually becoming more accepted for decks, but always check on this. And be very wary of using composite lumber for any kind of support framing. Some composite forms of 2 x framing lumber are now becoming available, but few code jurisdictions allow it for structural, load-bearing use. 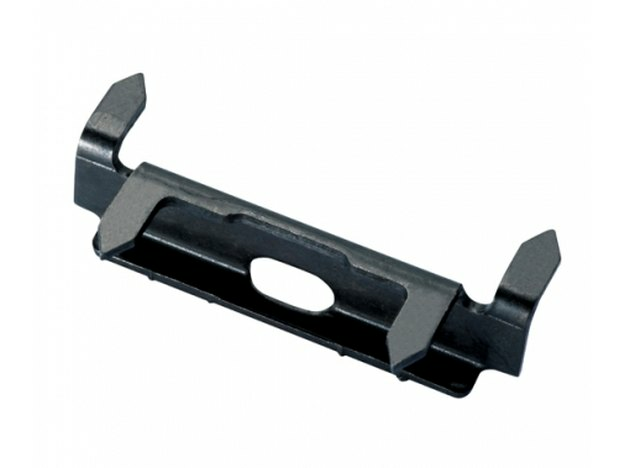 Many manufacturers also offer composite forms of railing parts. 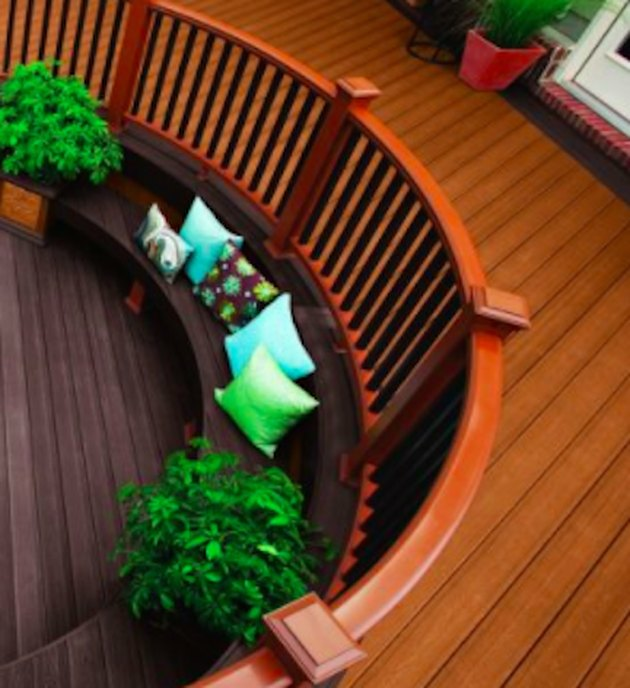 The original synthetic woods were just decking planks to be installed on the surface of a deck, but most manufacturers now offer an array of products, including rails and balusters for railings, stairway treads and railing pieces, post caps, lattice-work, and fascia boards. Decking boards typically come in 12-, 16-, and 20-foot lengths. As noted, check with local code requirements before building railings or stairways with composite lumber. 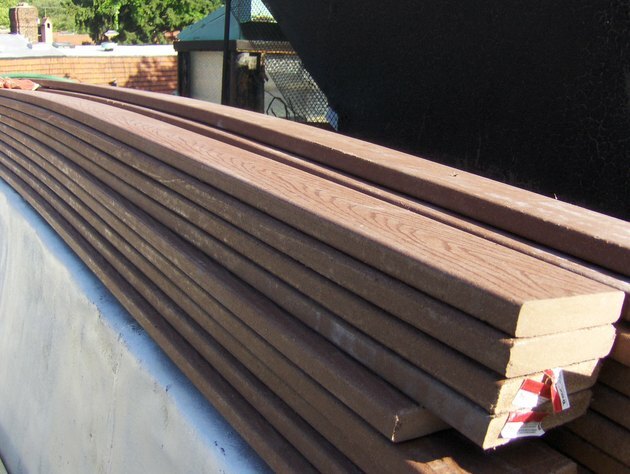 Top-quality composite decking can be two to three times as expensive as comparable cedar planking. A brand such as Trex costs $3 to $7 per square foot. But the difference between expensive and more economy composites isn't a matter of quality, but of style, color, and texture. Always look to less expensive products first, and if they satisfy your design needs, lean that direction. Home improvement centers stock bulk quantities of composite decking boards. The better (and more expensive) composites have a very realistic texture that looks remarkably like wood. Some even have varying patterns and tones, so that adjacent boards will not echo the exact same color and pattern. It's this kind of attention to detail that now causes some builders to choose composites where once only fine cedar or redwood would suffice. Be aware, though, that textured composite planks can trap dirt and grime, and can be hard to get clean, even with a power washer. And composites are susceptible to mildew and algae staining, especially in shady, damp locations. Composite planks can get slippery when wet, especially when the smooth types that have little or no texture. You may want to think twice about using composites for pool decks or stairway treads—your local building may not even allow it. Similarly, in snowy climates, composites can be extremely slippery underfoot. In such conditions, make sure to choose a composite with a pronounced texture. Hidden clip systems allow you to fasten decking boards without visible face nailing. Most people attach composite decking boards exactly as wooden planks are attached—with decks screws or nails driven down through the face of the boards into joists beneath. But if you want a cleaner look, there are systems that use tongue-and-groove attachments or hidden metal clips. Hidden fastener systems can be expensive though—by one estimate, it can add up to 30 percent to the cost of a deck. Some people fail to take into account the various trim pieces and other add-ons that can greatly add to the cost of a composite deck. In addition to hidden fasteners (if you use them), most composite systems come with a variety of skirting pieces, post caps, railing balusters and posts, and fascia boards that can add considerably to the expense. An alternative to spending a lot of money is to reserve the composite lumber for the surface decking and build the railings and other parts out of more traditional cedar or other lumber. A casual walk through the local big-box building center will show that most of them stock two or three composite products right on the floor—usually in neutral colors such as gray, beige, or brown. But a trip to the pro desk or design center will show you that there are also quite a number of other options if you choose to special order. From only about 10 options a few years ago, there are now more than 50 manufacturers of composite products, so take your time to pick colors and textures you truly want. 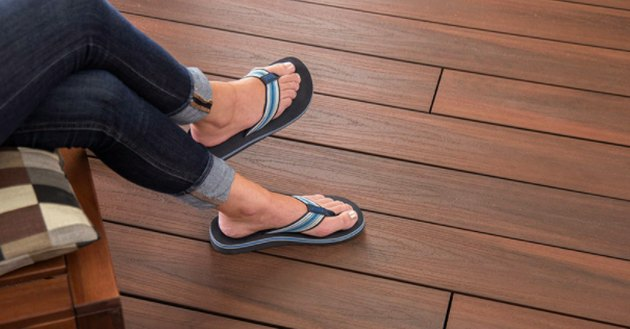 Many homeowners, after investing in a luxurious designer deck, are surprised to learn that in the direct sun, composite decking can get so hot it is unpleasant to sit there and impossible to walk on with bare feet. When choosing a composite, take home samples in various colors and set them out in the direct sun to see how much heat they absorb. Darker colors will absorb more heat than lighter colors. In climates subject to lots of direct sun, composites may not be the best choice for a deck, unless you also construct a overhead shading structure. What Is Double & Triple Span in Metal Decking?